This is so heartbreaking and disturbing too as baby falls off from mom's car while speeding. A Minnesota mother has been charged after her child was seen on dashcam video falling out of her vehicle and onto a busy roadway while still in the car seat. Maimuna Hassan, 40, faces a gross misdemeanor charge of child endangerment, a permit violation misdemeanor charge and a petty misdemeanor charge for child passenger restraint not fastened, according to a criminal complaint from Blue Earth County, Minnesota. The child endangerment charge carries up to one year in jail and a $3,000 fine, or both, and the other two charges carry up to 90 days or a $1,000 fine or both. 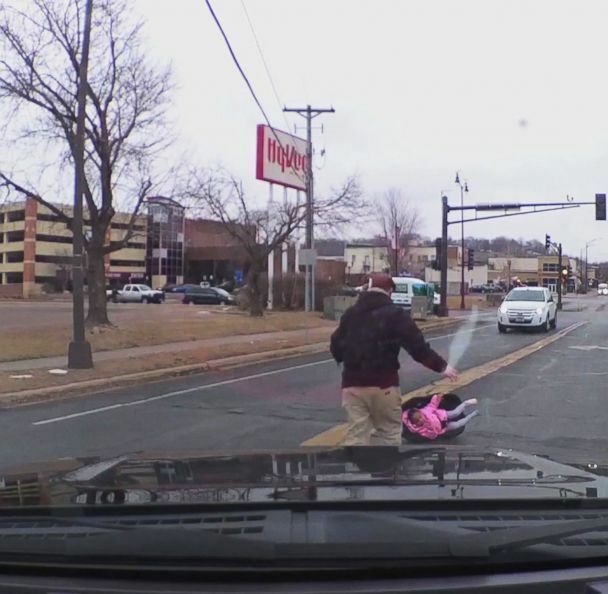 The footage, from Jan. 14, shows the child falling onto the road in Mankato, Minnesota, as the vehicle was making a turn. A man is seen waving his hands before picking up the 2-year-old. Police were speaking to witnesses when Hassan and another child approached them “crying and upset,” according to the complaint. Police say Hassan told them through a translator that the door of her 2004 Honda Civic “popped open” before the child fell out and “the child was secure and must have unlocked it.” Hassan said she drove up the street and parked before walking back to where the incident occurred, according to police. Police said an officer looked at the car seat and did not find a latch strap and that an inspection of the car showed the back left door was "latched, but not fully closed." No seat restraint system was observed in the vehicle, police said. Medical staff who arrived on scene did not find any signs of injury to the child, according to the complaint. The complaint also said Hassan only had an instructional permit to drive the vehicle and did not have anyone else with a driver’s license in the vehicle with her. Hassan was summoned to appear in court on Feb. 14. She has not yet entered a plea.